For the gammon, bring all of the gammon ingredients to the boil in a large pan. Reduce the heat to a simmer, then cover and simmer for three hours, or until the gammon is cooked through. Meanwhile, for the marmalade glaze, place all of the marmalade glaze ingredients into a pan and heat over a medium heat, stirring well, until the mixture is smooth and well combined. Simmer the mixture for 4-5 minutes, stirring continuously, then remove from the heat and set aside. Remove the skin from the gammon, leaving the underlying layer of fat exposed. 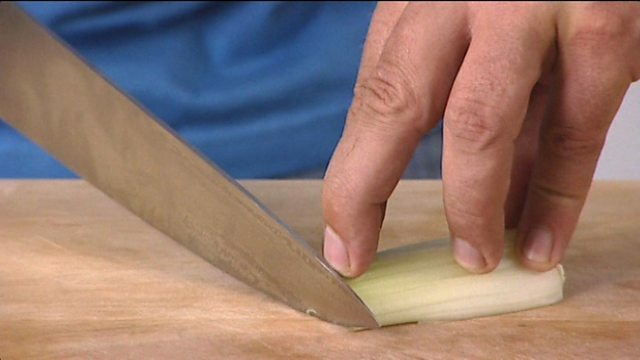 Using a sharp knife, score the fat all over in a diamond pattern. Brush the marmalade glaze over the gammon, then bake in the oven for 25-30 minutes, or until the marmalade glaze has turned golden-brown and is sticky, then remove from the oven and set aside on a warm plate to rest. For the pineapple salsa, in a bowl, mix together the pineapple, cucumber, fennel and chilli until well combined. Heat the sugar and vinegar in a non-reactive pan until the sugar has dissolved and the mixture is well combined. Drizzle the mixture over the pineapple mixture and stir well to combine. For the beetroot and apple salsa, place the chopped beetroot and apples into a bowl and mix well. Add the lime juice and zest and stir well to coat the beetroot and apple in it. Add the chopped mint and mix well. To serve, place a handful of watercress into the centre of each of six serving plates. 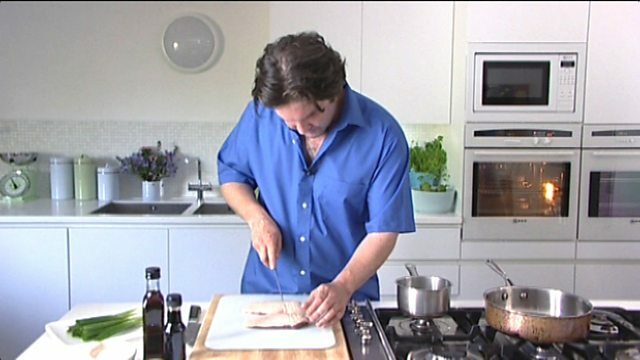 Carve the gammon into thick slices and place two slices onto the watercress. Place a spoonful of each salsa alongside the gammon. Drizzle the sauce around the edge of each plates, if using.